I wanted a lesson to explore the properties of the diagonals of different types of quadrilaterals, but the curriculum map I was following just lead to Khan Academy, and that’s not really my speed. And some scanning through MTBoS resources didn’t find me what I wanted, but chatting out my half-formed ideas with Jasmine in the morning focused the idea into what I did in class today. I started by having the students draw 6 triangles: 3 scalene, non-right triangles; 1 isosceles non-right triangle; 1 scalene right triangle; and 1 isosceles right triangle. Then we used each of those figures to create a quadrilateral by making some sort of diagonal. Each time, I asked them to identify the quadrilateral and what they noticed about the diagonals. 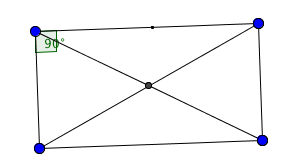 First, take one of the scalene triangles and reflect it over one of its sides. 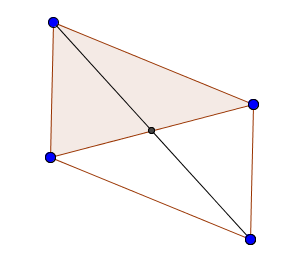 Thus we created a kite – which we know because the reflection creates the congruent adjacent sides. Then we can use the properties of isosceles triangles – we know the line of reflection is the median of the isosceles triangles because of the reflection, so it is also the altitude, meaning the diagonals are perpendicular. 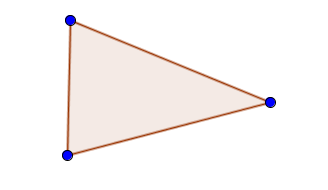 Then, take another scalene triangle and reflect is over the perpendicular bisector of one of the sides. This makes an isosceles trapezoid – we know the top base is parallel to the bottom base because they are both perpendicular to the same line, and it’s isosceles because of the reflected side of the triangle. 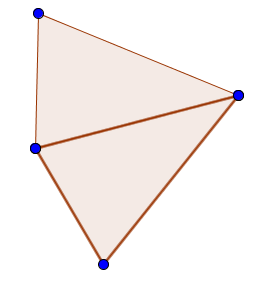 Then we notice the diagonals are also made of a reflected side of the triangle – and so we can conclude that the diagonals of an isosceles trapezoid are congruent. For the third one, I asked them to draw a median and then rotate the triangle 180°. The trickiest bit here is to prove that this is a parallelogram – previously we had classified the quadrilaterals by their symmetries, so using the symmetry definition we could say any quad with 180° rotational symmetry is a parallelogram. 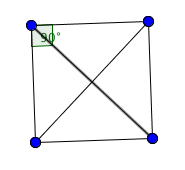 Or we can use the congruent angles to prove the sides are parallel. 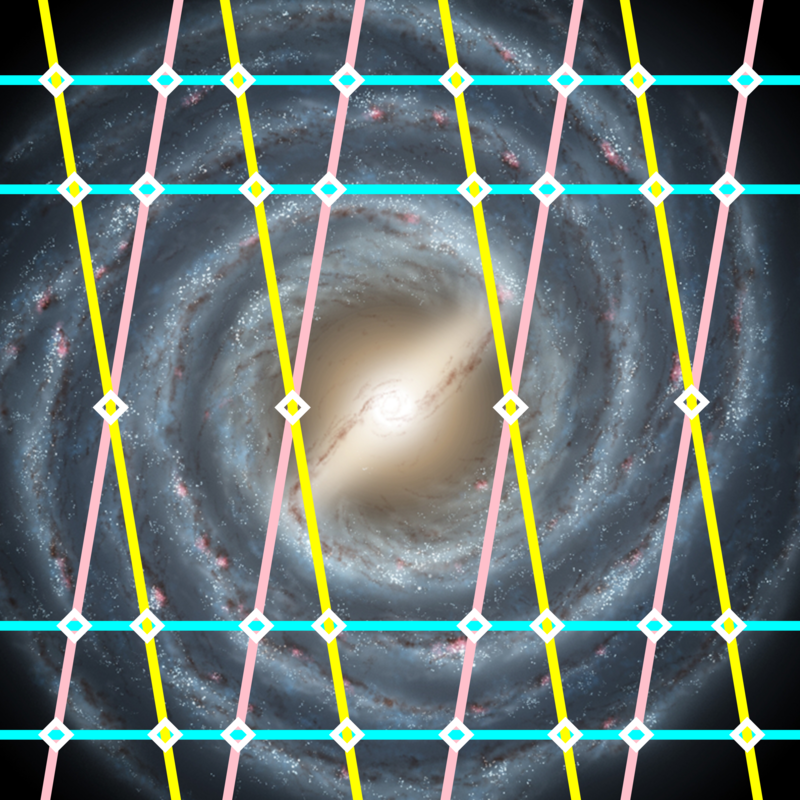 Once we did that, we saw that, because we used the median, that the intersection of the diagonals is the midpoint of both – and thus the diagonals bisect each other. I then tasked them to figure out how to make a rhombus, rectangle, and square out of the remaining triangles using the triangles. Because we proved the facts about the diagonals of the parent figures, we could then determine the properties of the diagonals of the child figures. 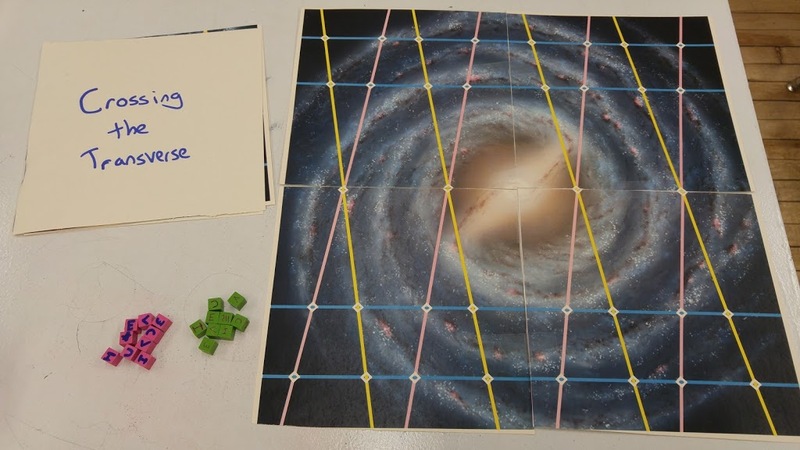 I think it went pretty well – the students performed the transformations and easily saw the connections between the diagonals. 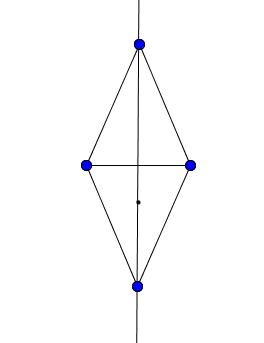 Tomorrow I think we’ll do something about whether or not those diagonal properties are reversible – if every quad with perpendicular diagonals is a kite, for example.